I'm disappointed this didn't finish much better. To me it was the top shot of the challenge. It captures a feel, and not just an image. Sweet finish Kris. You are really getting some HQ bird shots. 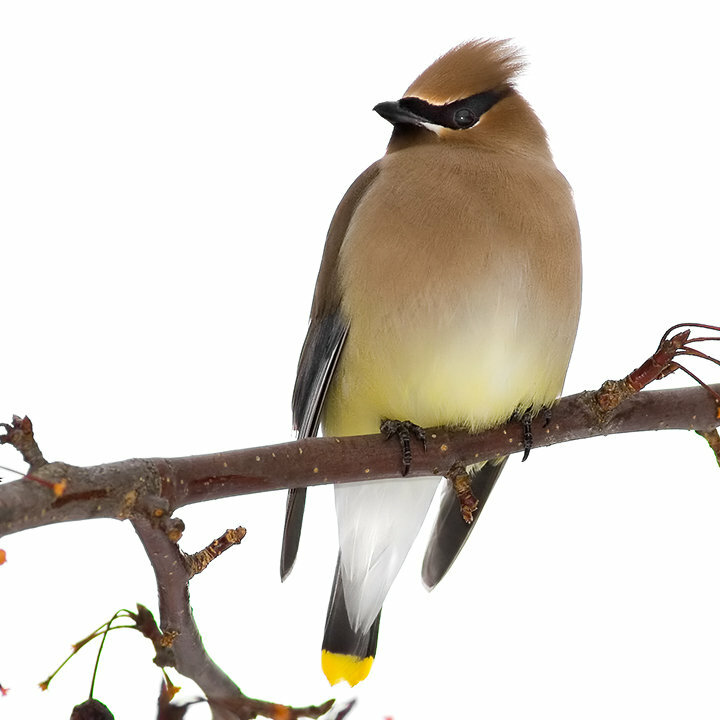 Lovely Cedar Waxwing! Bit more branch than I'd like to see but I doubt he gave you too many chances at such lovely exposure and detail. Wow, were you sitting underneath him? He's beautiful. Lovely details in the feathers and the colours are superb. So beautiful! The white background looks good. Pretty good, with a nice amount of details. Some of the edges look unnaturally sharp, especially the small offshoot of the branch just to the left of the bird. I'm fairly new into bird photography and I can't wait to produce one as beautiful as this. What can be said for near perfection. WOW WOW... this JUMPED OF MY SCREEN AT ME!!! BEAUTIFUL!!! I swear it looked like it movewd when I first looked!! Proudly hosted by Sargasso Networks. Current Server Time: 04/24/2019 01:50:34 AM EDT.